Why is highest mmr not first pick? Any time I get a map that I'm first pick on and select Dehaka where he's an appropriate and strong first pick, my team doesn't draft another tank and we proceed to lose.Same goes for games where we get a tassadar early in the draft, they don't draft a second support.This is diamond/masters. I love this game, but the majority of the community either has no idea how to draft or how to play the characters they do select and it's really starting to drive me away from playing the game. re 2.0: What About My Lvl 20's? 04/02/2017 08:40 AMPosted by StinkfingerMy favorite heroes have been maxed out at level 20 for ages. 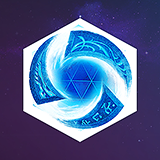 When 2.0 goes live and the level caps for heroes are removed, will these heroes still be level 20, or will I see my time investment in these heroes reflected in adjusted hero levels?Yeah they'll be 55, so you'll have missed out on 5 lootboxes that would give you something specific for your favorite heroes. 03/31/2017 03:04 PMPosted by BootytimeIt's pretty much confirmed next 90 days is Cassia, Genji, DVA due to leaks right in Blizzards code and pages.Where'd you see the DVA leak? 05/24/2016 01:43 AMPosted by GuessWhoStill the best combination of magic and tactics in this world. But of course, one who prefers braindead demon shooter would disagree.Have you considered changing A to T yet?You can disagree with his opinion, but your suggestion about his name is completely disgusting. Our community is better than that. What do you think Blizzard? Call it bad luck, but I don't have time to keep queuing until I get the monkey to spawn. I'm on a streak of like 6 or 7 games where I have not seen it.Please make it spawn in games where someone needs it still for the day, a person who is lucky or has the time to play all day for the 30 days it's out will get 3k gold while those of us who can't play until it spawns will be screwed.Yall won't put in weekend buffs in diablo because some people can't benefit from it, why make this RNG daily quest contrary to that? I can understand people being frustrated about losing or dying or whatever and taking it out on their team using cuss words and the like. What I can not understand, nor tolerate, is being told to go kill myself by toxic players over a video game. I've lost friends to suicide, it is not a joke. Players who abuse the community with suggestions like that don't deserve a silence, they deserve to be banned from playing with any real person and should instead only be allowed to play with and against the computer.Some of the people in this community are disgusting. Can you make it to where I can opt out of that ugly photo that stares at me when I try to launch the game.It was kinda "ha ha" funny when it first went up, now it's old and irritating.